At least that’s what I would have said before giving it another shot. I really hated this show the first time around but this seems to be a community favorite so maybe I was just missing something. I decided to give it a second chance. So did my opinion improve or did this anime manage to win me over? 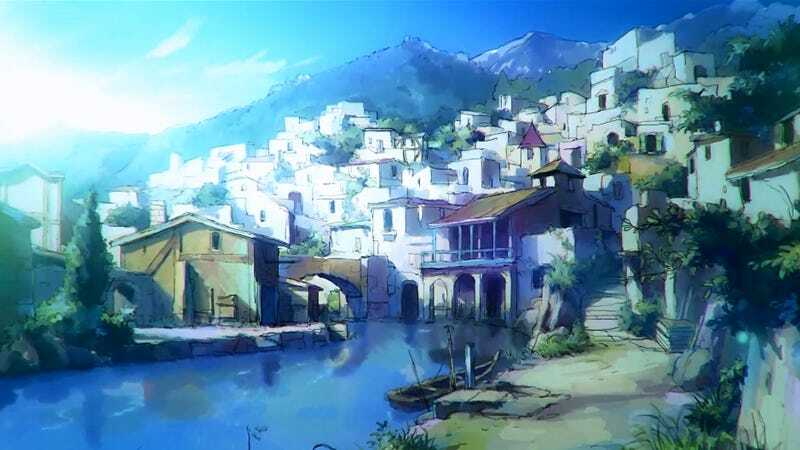 Let’s dive into my look at the eighth community pick for the ABC review series, Hai to Gensou no Grimgar. I attempted to rewatch Grimgar, with my younger brother. Unfortunately he ended up getting busy since school started up and we had to stop the watch part way through. I would have just went ahead on my own but I just couldn’t. Despite my best efforts to give this one a second chance, I only ended up disliking the series more. Grimgar is another “transported to a fantasy world” anime but the twist is that nobody really cares (even if they can’t remember where they are from) and enemies are realistically dangerous. This anime is praised for delivering a fresh take on this sort of troupe that has exploded in recent times and for its stunning art. Having aired during the Winter 2016 anime season Grimgar is still pretty talked about almost a year later. Many were surprised to learn that A-1 Pictures was responsible for animating this show since many were drawn in by the vibrant art style and slick fight animations. Personally, didn’t really care but almost everybody I’ve ever talked to about this show finds this to be a big deal. Ok, did I miss anything there before I get going in on this? Oh yeah, how could I forget? It’s boring and the plot is pretty dumb. If you love this show you may want to leave now. I don’t have a lot of nice tings to say. Buckle up everybody because I’m not holding back. Let’s get this show on the road! Let’s start with my chief complaint. The show is boring, and even when it tries to manufacture tension, there isn’t any. Spoilers from here on out by the way. The first couple episodes has our cast of “likable characters” adjusting to their new environment. They don’t know how they got the world of Grimgar or where they are from. The only way to make money in this world, apparently, is to become a “volunteer” solider. I’ll rant about that later, trust me. You see the group join guilds for skills and hunt some goblins. It’s really standard fare. Except the goblins are sentient and don’t want to die either so they fight back. This is always a big shock to everybody for some reason too. Some close calls but then everybody decides they can be at least sort of competent. Of course the group gets comfortable and overconfident and the one character I didn’t totally hate dies because apparently there is mana in this world and priest dude can’t heal his arrow wound before he bleeds out because he was too busy flapping about healing everybody’s minor boo-boo’s. I’ll admit that I actually think this episode is kind of decent but the writing is pretty dumb if you take even a second to think about it. From this point you might think, “Oh no, anybody could die now. Real stakes, this isn’t like [insert other generic fantasy show here]!” Except, this isn’t the case. Everybody is pretty much safe within the cardinal cast. Sure other people die but in flashbacks or are folks you literally won’t care about because you didn’t spend any time with them. Some random girl joins the group to replace priest guy. A side quest thingy happens and then it’s time for the final arc. I know I’m summing this up rather fast, but the show takes its sweet time getting here. For some reason kobolds are really scary in this world (despite being a level higher than goblins in most games, which this is totally emulating) and the biggest kobold of all needs to be killed by the group. He’s got an “impressive” bounty on him. I can’t remember the exact amount but for as much as they talk it up it ends up being worse than what they were making fighting goblins which was hilarious. That’s basically the plot in a nutshell. Twelve episodes felt torturously long the first time and what I did rewatch wasn’t much better outside of the first four episodes where the pacing is at least tolerable. Ok, let’s dig into those episodes a bit actually. For starters, the economy of this world makes no sense. I get that it’s supposed to be kind of like an MMO but “if it were real life” but why is monster hunting the default job for people who show up in Grimgar? That makes no sense, especially since not everybody is going to be well suited for that even. Everything has a guild, that costs money to join, and even being a monster slayer costs you cash too. Guess people don’t need farmers or anything practical. The random NPC people can do that I guess. I care a lot about economies in anime for whatever reason so this was a legitimate issue for me. Episode one just explains what I basically said above but has this decent fight sequence at the start of the episode where the group tries to kill a goblin (and fails miserably). This sequence is generally touted as the moment people knew Grimgar was good. It has weight and you can feel how ill-equipped the group is. One of the few times the show actually succeeds at this. While I’m at it, let’s bring up all the still images Grimgar uses. And yes, I’m still talking about just episode one. The “animation” is supposed to be fantastic according to everyone and their uncle but Grimgar uses a lot of stills and weird, logic defying tricks to make it look like there is movement in a scene. This problem doesn’t go away and in just the first four episodes you are going to see almost a full episode’s worth of just still images. At least some of them do look nice, the watercolor stills in particular. The background art is amazing but I would say the animation leaves a lot to be desired. Compounding the problem is an over-reliance on montage sequences. Remy pointed it out in an article he wrote not too long ago (and that you should totally check out). Also, there is this funny moment in the first episode where one of the characters talks about how they “don’t have any food” as he LITTERALLY PUSHES AWAY A BUNCH OF SAUSAGES HANGING IN THE DOORWAY SO HE CAN WALK THROUGH. This is when the gang shows the group joining their different guilds (well one of them at least is shown) and the group has this dumb exchange. The demon guy (I honestly can’t remember anybody’s name nor do I care all that much) who is a real prick calls the archer girl (who is literally the worst) “flat-chested” despite that obviously not being the case. Then the witch girl gets sad because she thinks that she is fat. Grimgar is insistent on making its cast pretty unlikable. It’s a bad sign when the people watching are actively wishing death onto the characters. The archer girl and demon guy especially. The only tolerable characters are ones that you rarely see, the main character (thankfully, though he is pretty bland), and the priest guy. The reason for this, outside of Mr. Everyman main character, is that they don’t stick around long enough to get annoying or to realize the lack of character present. Beatrice, or whatever her name is, gets introduced as a character and then is literally forgotten for the whole rest of the show. She is just fanservice and a way to show that guild masters (she’s a “teacher”) actually exist. Whatever I guess. Episode two is pretty weak so let’s just move on. Episode three shows that everybody is kind of getting into the groove of things. They want to start buying clothes and things. Makes sense. There is also this asinine sequence where demon dude tries to peep on the ladies. He gets caught. Hilarious hijinks! It’s pretty standard stuff. It was nice to actually see some of the special skills that the party managed to obtain. That stuff is actually interesting but there is little to now focus on it or how it actually works so… this ends up being a problem that Grimgar continually has. It under explains its world, its magic system, its everything really. Then comes along episode four, probably the best episode in the whole series. Priest dude dies because everybody gets too comfortable. Why does he die? He can’t heal his own wound because he used up his magic. Oh, you didn’t know there was a limitation like this and having priest guy constantly healing minor scratches was a non-issue? Yeah, silly to even think this was a thing that wasn’t ever even communicated to the audience. Sure, this should be inferred because the setting is videogame-esque and one could argue that the characters just didn’t know the limits, except there are problems with this kind of thinking. For starters, that is a dumb thing to have the audience just assume. It’s a relevant part of the lore and world so it shouldn’t be something I should just “know” because I’ve played an RPG before. To the other point, that is invalidated because witch girl clearly knew about the limit as she comments about it. Still, the construction and flow of this episode actually feels good despite this. The first four episodes are watchable, but after that the show becomes fairly disengaging despite the “upped” stakes. Let’s just hit on a few key moments from this point on rather than episode-by-episode. As if to address my concerns, the show actually delved into that a bit. However, the episode, which should have humanized the goblins and demonized the group a bit, just ended up being really funny. Again, the group is shocked to learn that living things don’t want to die. They even draw parallels between humanity and them but it is all fairly shallow and undercut with “jokes” and other nonsense. In this moment I actually bothered to look up some stuff about the light novels because I wanted to know how this subject was handled there. That’s when I learned that the LN’s are not only darker, but they handle almost every moment featured in the anime so much better. I would legitimately be interested in reading those. I don’t usually bother bringing up this sort of thing but the quality difference was so immediately obvious that it was staggering. I just couldn’t believe it. That’s with me not even have read one of the light novels yet. Just some snippets, reviews, and promotional stuff for them. Throughout the show demon guy always talks about his demon (while acting like a massive dickhead) but you don’t really see until the show is about over. It makes him come off like a chuunibyou. It was far more entertaining to think his demon wasn’t even real but the show shattered that illusion by actually showing it. Turns out the demon is useless really, so why did this guy want one? Umm, let’s see what else? Oh yeah, main character guy can talk to dead priest guy and has magic assassination vision. The dead friend bit isn’t really explained but it was interesting at least. As for the vision thing, that’s not really explained either but the moments when main guy uses this power does look very good. I could go on about Grimgar’s plot and characters but I’m getting irritated just thinking about the show so I’m going to move on to talking about the sub and dub. I watched it subbed the first time and the partial rewatch I did dubbed because VRV had it through the Funimation channel there. Neither is really that great for me, but the sub is MUCH better for Grimgar. I could tolerate almost everybody except hunter girl, who everybody I was watching with at the time wanted to die because her voice was so annoying (not to mention she is literally useless). The dub makes her worse, along with almost everybody else. I don’t know what Funimation was thinking because the casting choices just didn’t seem to fit. Normally I’m a dub guy, so this is really saying something. If you want to watch Grimgar, do yourself a favor and watch it subtitled. The dub actively hurts the experience. Had I watched it dubbed first, I don’t think I would have even finished the show. It was that bad for me. This brings us to the overall recommendation. Obviously, I am not a fan of Grimgar which I know will be a disappointment for folks who were hoping that I was going to enjoy this one. However, I do see why some people do enjoy this one. Grimgar does feel fresh in some ways and occasionally can display stunning animation alongside its breathtaking background work. This just wasn’t enough for me, I saw far too many issues with this anime that I simply could not get past. In the end, I legitimately hated this show. For these reason, I give Grimgar a personal score of 3/10 with the recommendation to try it. There is something here, it just wasn’t for me. Grimgar is popular for a reason, even if I can’t see it, so give it a try for yourself before writing it off completely. Sorry I couldn’t stomach the rewatch, I tried really hard for you all. You can watch this one over on Cruncyroll or if you live in the US on VRV [learn more here] as well. Anime ABC’s will have its peaks and valleys for me and this just happed to be a valley. However, after such a large string of peaks, this was bound to happen. Hopefully the I round will provide me with a show I will enjoy much more than this one. Still, this ended up being an interesting round so it isn’t like I regret it or anything. If you would like to check out my more positive ABC reviews, you can so here [link]. Remember to vote for the next round once that is up so you can have your say on what I review next for this series. I couldn’t do this one without your input. Did you enjoy Grimgar or was it a dud for you as well? Let me know in the comments below. If you enjoyed the article be sure to let me know and consider showing me some love by becoming a Patron of mine. You get a few perks and really help me out. Just click the button below for more details. Thanks for taking the time to visit the site today and hope to see you back here at Jon Spencer Reviews soon! Nice job on the review. I know that’s one newer anime series I will not be watching as I slowly transition into watching more recent series. Thanks. I can’t blame you there. No problem. Most of the stuff I know and review came out before the 2010s. Part of that is comfort with what I know or stuff I wanted to see, but never had a chance to. Most of the newer stuff I review are live action films and documentaries. No biggie, there are a lot of great older shows and people often overlook them in favor of the latest and greatest whatever. Exactly. I’m glad you mix up older and newer shows on your blog. Only focusing on the new stuff can come across as reaching to me, and that’s not just anime. It can also apply to movies mainstream or independent as I’ve seen some others try. Gotcha. That’s understandable. I’m glad you answered the questions nonetheless. I’m in the demographic of absolutely loving this anime, but it really is refreshing to see the other side of the spectrum. Appreciate the honesty, and though I feel like you may have missed a few somewhat subtle plot points (such as the economy and why these guys end up fighting monsters instead of doing something safer), I’ll admit the show wasn’t as perfect as I made it out to be in the beginning. 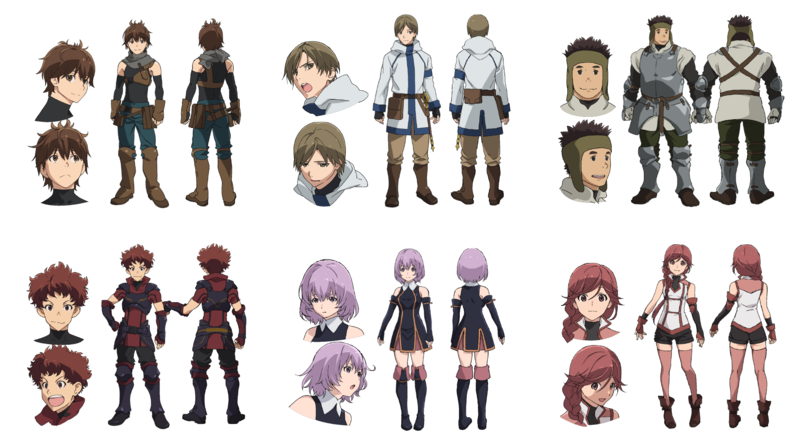 A well-written roundup on Grimgar nevertheless. I fell in love with the show’s style, art, and themes; that won’t change. But I think after re-watching it for the third time now, I can understand how the show isn’t for everyone. I actually completely agree with you here. When Grimgar was airing, I was on episode of the people who didn’t like it all that much and found it painfully boring to watch. And I normally LOVE Isekai shows. While I initially appreciated the “realism” of the show, it never wound up living up to my expectations beyond the death of the priest guy (who’s name I can’t remember despite the characters constantly saying his name in sad voices for the entire show after his death). However, I did really like how realistically his death was handled, specifically the grieving process and how the character didn’t just conveniently forget about him a couple of episodes later. They actually mourned for him and their future actions were affected by the blow his death had to the groups morale. But aside from the emotional appeal that came from that, there’s not much else going on at all. Nothing really “happens” and the new priest girl is horribly thrust into the plot as is her proposed romance with the protagonist. And despite the often beautiful art work and backgrounds, the animation, like you said, is iffy and things don’t move as much as they should. I’m also interested in trying the novels out though, as I’ve heard similar things. Very good review! It’s nice to see a take on the show that I agree with! I agree with you on the grieving of priest guy, that was good and a major theme of the show. Not that Derek will see this comment but I did key into that fact. I don’t normally talk about things I dislike a lot on here so reviewing Grimgar was interesting at least. Glad you enjoyed reading it. And I’m the same in a way, as I personally prefer to be positive where I can be, but sometimes it’s a nice change of pace to write about something you didn’t find quite as great. And oh no, not at all! I definitely haven’t read all of your reviews, but I do find myself agreeing with you in most cases 😀 We have similar perspectives a lot of the time! I can see why some folks didn’t care for Grimgar, it’s not like it wasn’t without problems… and not every show is for everyone. It’s not like I didn’t pick up on the themes or plot. I just really didn’t care about them. Grimgar did a really poor job at getting me engaged. It’s not like I didn’t mention anything in the article either, I just didn’t delve all that deeply. For this one I wanted to convey more my frustration with disliking the show and apathy than anything. I’m not upset with people who enjoy it. More power to ya since it sounds like you did. I definitely don’t write a lot of negative pieces too so maybe I was lacking in some way in my explanation as well. Sorry it didn’t work for you. I absolutely love this one after the first two episodes. I find the slow pace an asset because it really makes me feel like I’m trapped with these characters and while it isn’t exactly a positive feeling, it makes the story as a whole have a lot more weight. As to the Light Novel, because I loved this series so much, this is the first Light Novel I’ve decided to read and book 1 arrived a few weeks ago, and then life got crazy busy. I’m about half-way through but kind of prefer the anime, but will admit they are spending more time on actually fleshing out the world and explaining why they are automatically asked to join the soldiers etc. I don’t necessarily have a problem with slower pacing. I mean I love Log Horizon and that is a lot of the same thing, talking a bunch then some action, but in that case it feels much better. Still, glad you like Grimgar, I know that a lot of people do. I’ll hopefully finish it over the weekend and write a review for next week. That was the plan anyway. Sounds great, I’ll look forward to it! I kid, the show can be boring at times and too many fanservice moments, but I enjoyed it quite a bit when I was watching it weekly. There was just something special about it that drew me to the show. It’s always nice reading some one’s alternative view point, so thanks for sharing. Ah, thanks for the shout-out. Mmm I was indifferent to Grimgar, but it had its moments (both good and bad ones). I think this series is rather controversial considering how people either hate it or love it. No problem. I was glad that somebody else noticed that too. It is a fact that gets glossed over a lot. I don’t hear much negative about the show really, the prevailing opinion is positive. 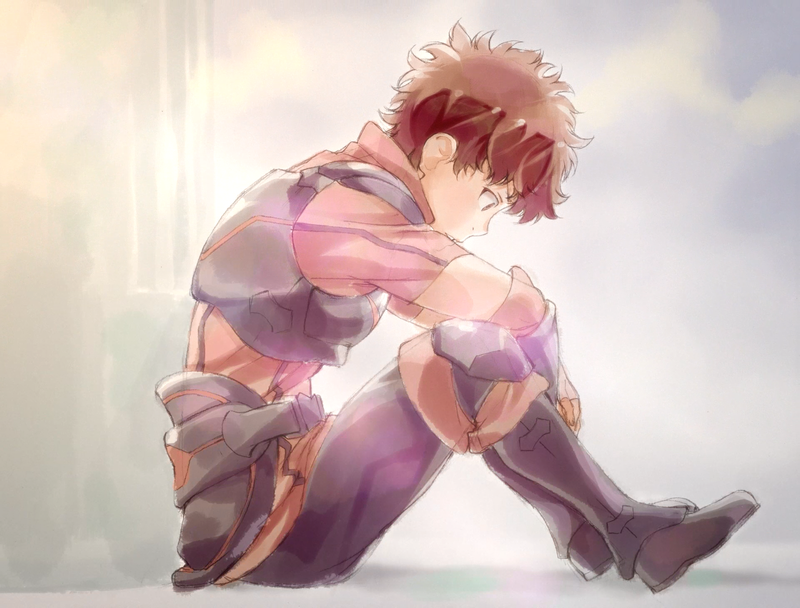 Felt a bit bad about how much I didn’t enjoy Grimgar though.